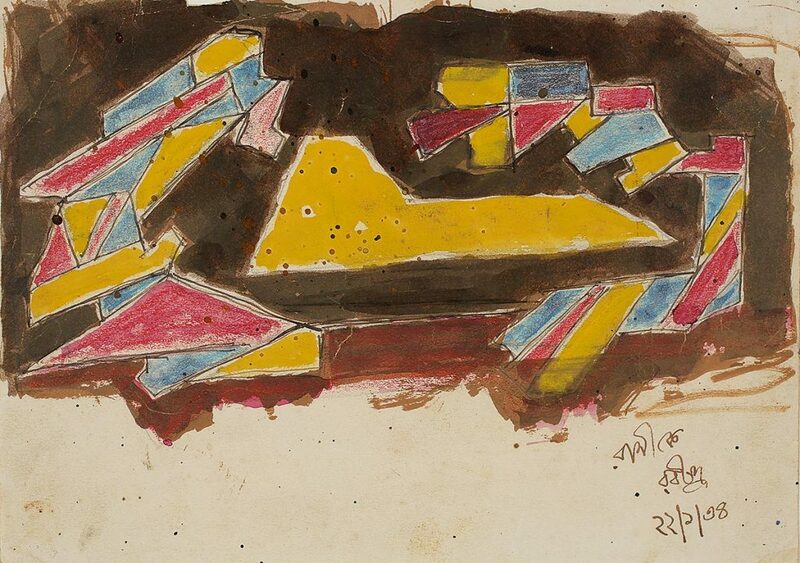 Poet, novelist, musician and playwright, Rabindranath Tagore took to painting and drawing only in his sixties. His paintings, with their intense, semi-expressionist faces of men and women inhabiting a twilight world and a nebulous dreamscape, conveying suppressed emotions and a deep, brooding interiority had no national connection but belonged to the modern international diction of painting. 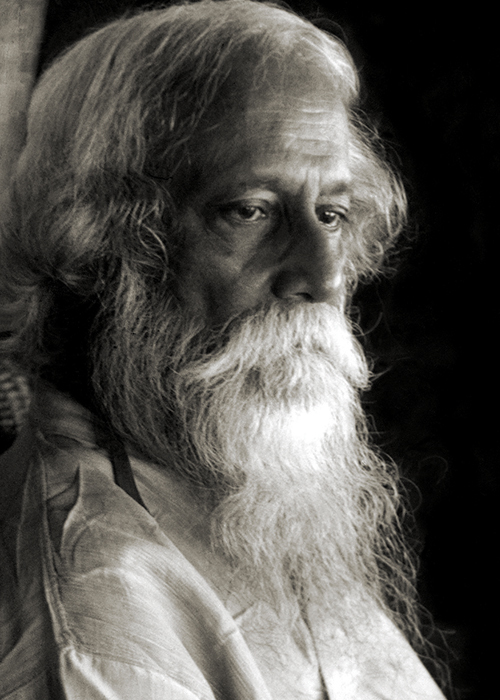 Tagore’s paintings represented a break with himself as a poet and philosopher. His belief in harmony, ultimate goodness and beauty of mankind and the world, appeared in direct dissonance with the subject of his paintings, with the latter subverting the former. 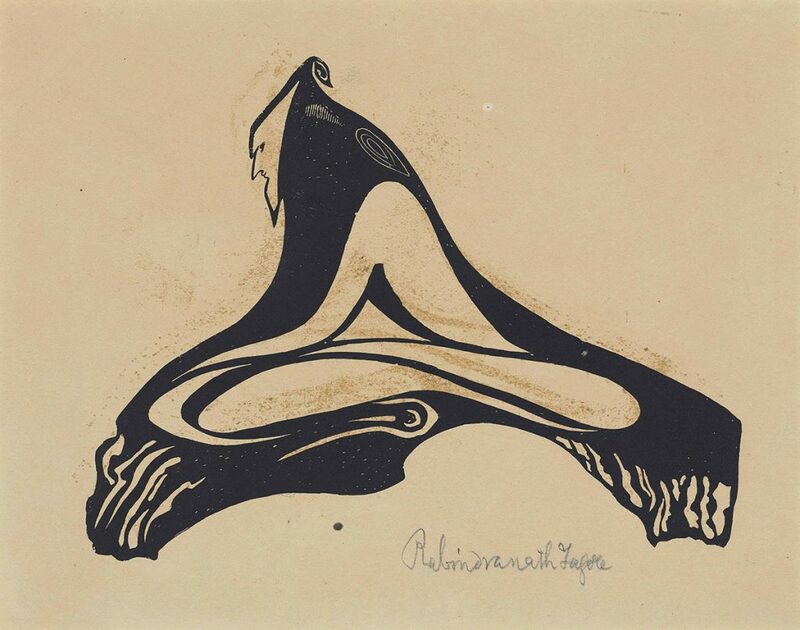 Representing a distinct break from the Indian classical tradition and the Bengal School – initiated and enriched by other members of his family – Rabindranath’s paintings and drawings reflected the influence of artists like Kandinsky, Paul Klee, Gerhard Marx, George Muche, Nicholas Roerich and Gropius, as well as the impact of Freudian psycho-analysis. They brought to the surface deeply agonised, distorted faces looking into their own fathomless self, and the images emerging from the depth of the subconscious. 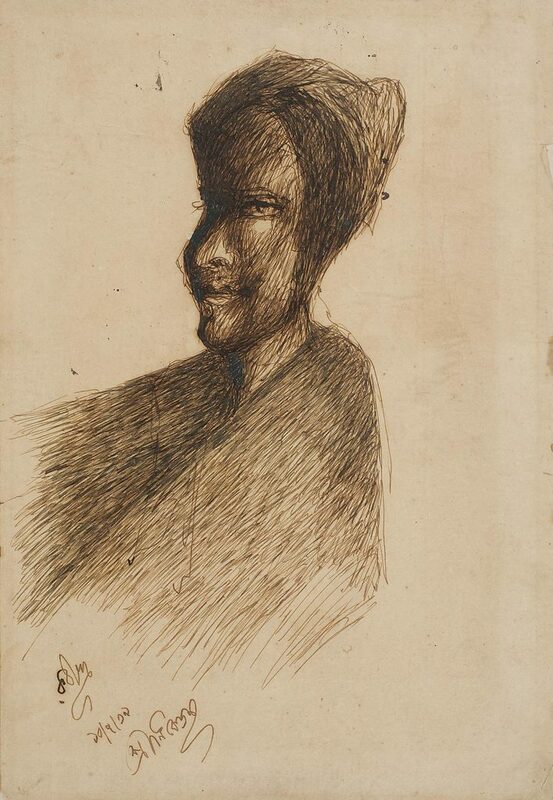 Tagore’s first exhibitions were in Paris, and tasted success, but not in India. His works were declared a National Treasure under the Antiquities and Art Treasure Act, 1972.